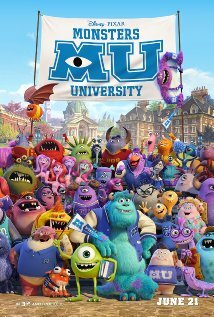 The monsters fro m Monsters Inc. are back in a new film called Monsters University. Fan favorites from the original movie are making a comeback in this film where they are going to college. Mike and Sulley must do whatever is necessary to get through college while having a blast. You will likely laugh a lot, when you watch Monsters University. However, the film will only be available in late June of 2013. So, fans of Monsters Inc. will have to wait just a little longer to get to enjoy this Pixar movie. To learn more about the cast, storyline, and theatre dates, you need to go to http://www.imdb.com/title/tt1453405/?ref_=sr_1, which is a terrific site to find movie info.